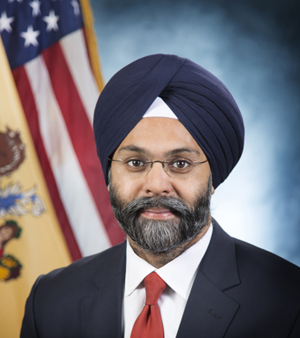 New Jersey Attorney General Gurbir Grewal sent a cease-and-desist letter on Thursday to a Texas company that plans to publish its blueprints online to make guns from 3D printers. The letter directs the company to cease and desist from printing the information for use by New Jersey residents. Bloomberg News has the story. Defense Distributed had planned to publish the blueprints starting Aug. 1 after the U.S. State Department agreed to settle a suit filed by the company. The suit had claimed the State Department violated the First Amendment by warning in 2013 that publication of the blueprints violated export controls and could lead to a jail sentence for the company chief, former law student Cody Wilson. As part of the June settlement, the State Department agreed to pay nearly $40,000 for Wilson’s legal fees. The Brady Center to Prevent Gun Violence joined other groups Wednesday in seeking permission to intervene in the case to contest the settlement, according to Bloomberg and the Hill.